The Trump administration early this year started allowing states to require that their Medicaid beneficiaries work and, to date, 11 states have applied for waivers to set such work rules. (NEW YORK) — The Trump administration early this year started allowing states to require that their Medicaid beneficiaries work and, to date, 11 states have applied for waivers to set such work rules. Medicaid work requirements could promote “better mental, physical and emotional health” and “help individuals and families rise out of poverty and attain independence,” Brian Neale, a top Medicaid official for the administration who has since left his post, wrote in a letter to state directors of the health program. But two new studies published today in JAMA Internal Medicine question the effectiveness of and rationale for such work requirements, finding that the vast majority of Medicaid recipients already work or would be exempt for reasons such as pregnancy or disability. Because only a small number of beneficiaries would be affected, budgetary savings through any reduction in the rolls would be minimal. “Medicaid work requirements are out of step with the lived experiences of low-income people … [and] represent a case of policymaking gone astray, causing more harm than good,” wrote Dave Chokshi, a professor of population health at New York University, and Mitchell Katz, deputy editor of JAMA Internal Medicine, in a commentary accompanying the two studies. One of the studies, led by David M. Silvestri of the Yale School of Medicine, used data on household income, employment and utilization of government assistance programs from the U.S. Census to determine the number of people who would be subject to the new work requirements in each of the 11 states that applied for federal waivers. They found that only between 0.3 percent and 5.4 percent of people who were eligible for Medicaid in these states would be affected — in large part because so many in the program already work. The second study, led by Anna L. Goldman of the Cambridge Health Alliance and Harvard’s School of Public Health, estimated changes in Medicaid enrollment and expenditures if the work requirements and the exemptions common to all of the approved state waivers to date (those from Kentucky, Indiana, Arkansas, and New Hampshire) were applied on a national scale. Kentucky’s plan was blocked last month by a federal judge, who called its policies “arbitrary and capricious” and noted that the federal Medicaid office “never adequately considered” whether Kentucky’s plan, “would, in fact, help the state furnish medical assistance to its citizens, a central objective of Medicaid.” However, this has not seemed to deter the Trump administration in moving ahead with allowing Medicaid work rules around the country. The Goldman study found that 2.1 million current beneficiaries would be at risk of losing their coverage nationally. This amounts to only 2.8 percent of all people in the program, spending on whom accounts for just 0.7 percent of current Medicaid expenses. The study’s authors cautioned, however, that there could be a substantial “spillover” effect: Medicaid enrollees who fulfill the work requirement or should be legally exempt may lose their coverage due to trouble meeting new documentation rules. This is because in states instituting the work requirements, all Medicaid recipients — even those who already work or qualify for exemptions — will be required to regularly report their work hours or reasons for exemption, sometimes as often as monthly. 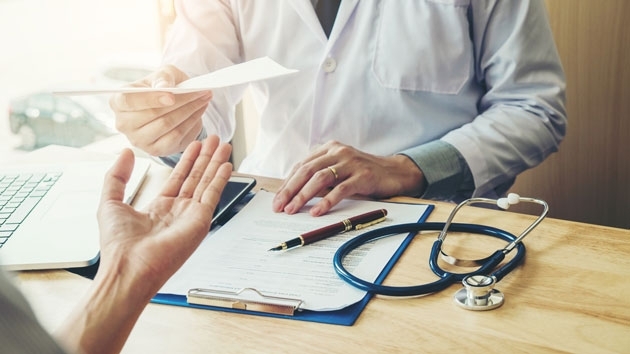 “Procedural hurdles to qualifying for health insurance run counter to [the federal Medicaid programs’] stated goal of putting ‘Patients Over Paperwork,’ with deleterious health effects,” Chokshi and Katz wrote in their accompanying commentary. Chokshi and Katz’s commentary also stressed that having health coverage makes it easier for people to find jobs. “Medicaid work requirements largely ignore the effects of expanded health coverage on employment and other determinants of health such as financial protection,” they wrote.